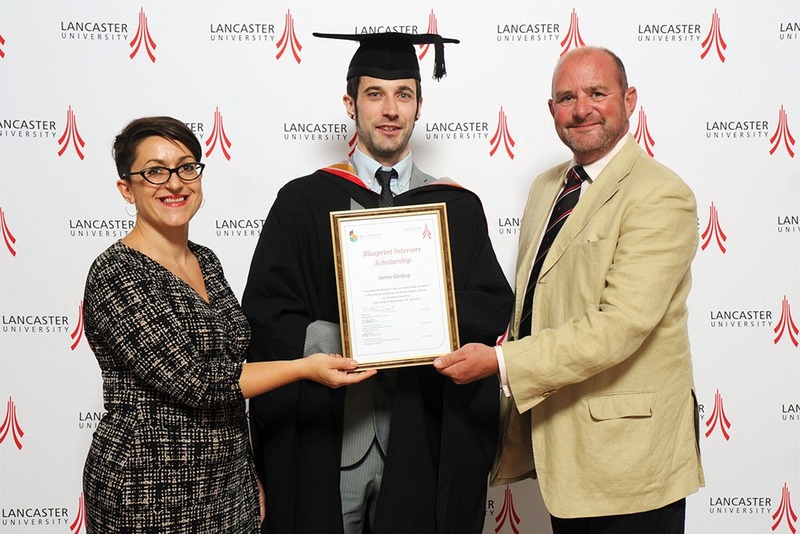 At the University of Lancaster’s most recent graduation ceremony, Alex File became the most recipient of the Blueprint Scholarship Award, marking 6 years of the Blueprint Scholarship. 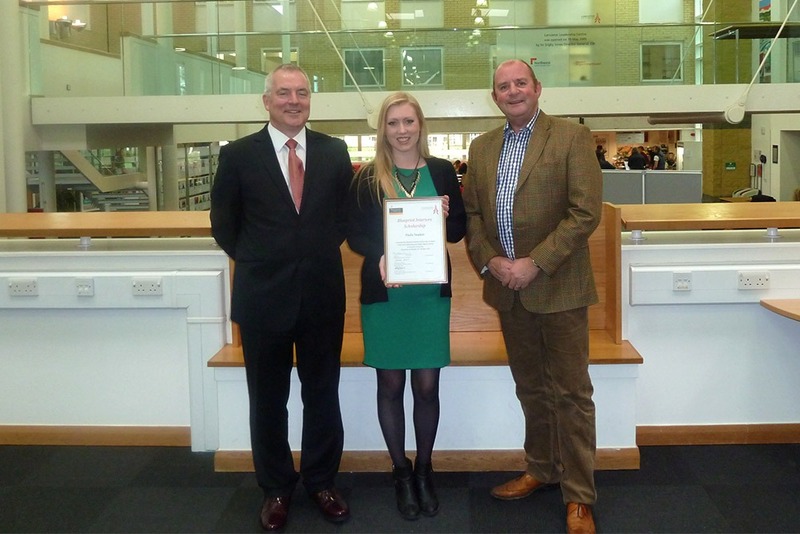 The scholarship awards £1200 to the best final year student on the BSc Marketing & Design programme. Alex will also be coming to Blueprint for 2 weeks of work experience prior to starting his Masters in MSc International Innovation (Design) at Lancaster in September. Blueprint has strong links with Lancaster University, with our Managing Director Rob Day graduating in Marketing in 1984 and our Marketing Manager Piotr Motyka graduating in the BSc Marketing & Design course in 2014. In the first two years of the scholarship, the award went to the top student of the first year of the course, with Piotr winning it and meeting Rob for the first time in 2012. 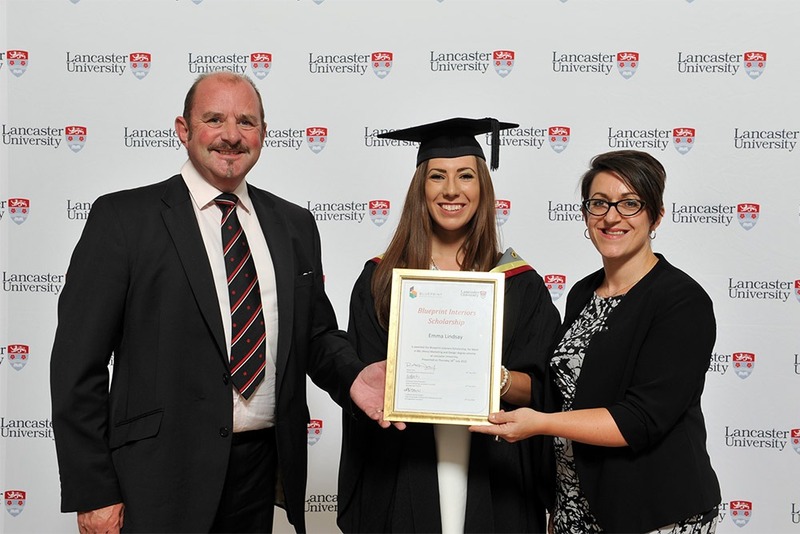 “Our involvement with Lancaster University, and in particular the Management School, in providing the Blueprint Scholarship, reflects our desire to implement and encourage closer collaboration between education and industry. We firmly believe that learning is a lifelong and continuous process whose value is multiplied by the wider experience and practical application and testing obtained in commercial practice. 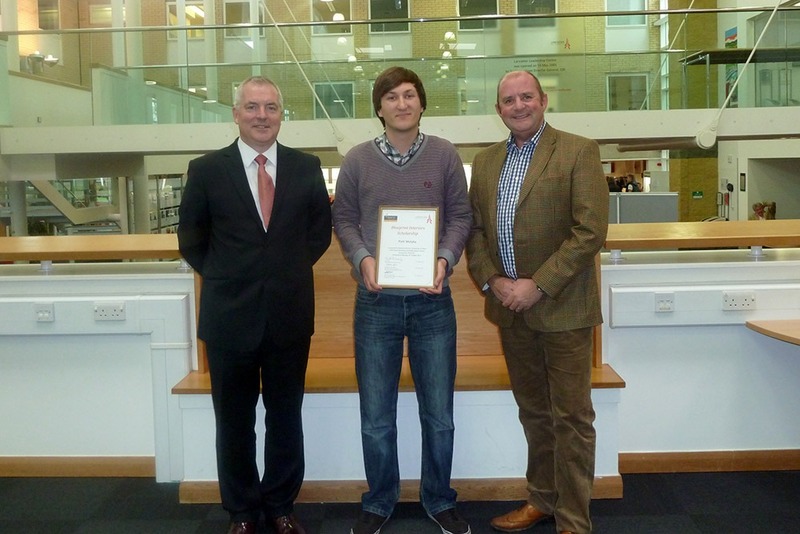 Alex File pictured with Rob and Dr Ben Kerrane, Senior Lecturer in Marketing. 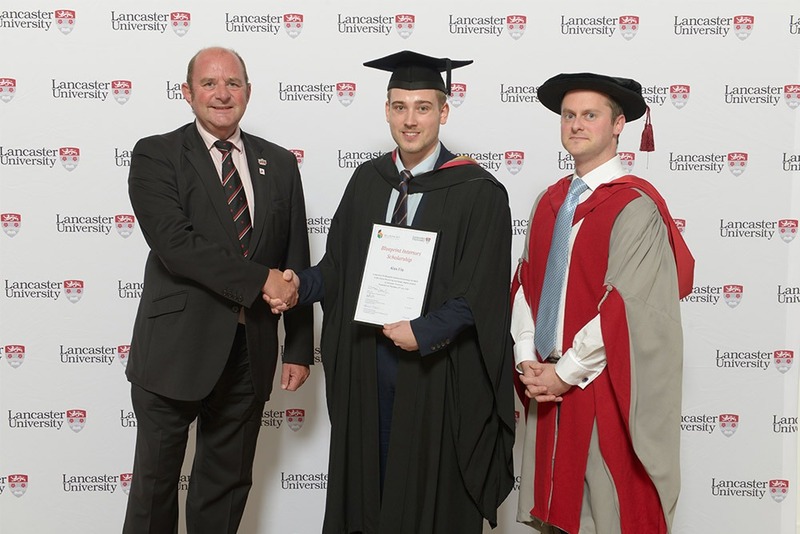 Alex will be starting his Masters in MSc International Innovation (Design) at Lancaster in September. Emma Lindsay now an Assistant Brand Manager at Nestlé. Jamie Goldup now a UX designer at Tesco PLC pictured with Rob and current Head of the Marketing department Prof. Maria Piacentini. The Blueprint Scholarship was changed to be awarded to the top final year student seeing Paula Yeadon win the award for the second time. Paula Yeadon pictured with Rob. Paula is now an Account manager at HAVAS Media. In its inaugural year, the scholarship was awarded to the top student of the first year of the course. It’s been a fantastic 6 years of the scholarship and being able to support the next generation of marketing & design professionals coming out of Lancaster has been incredibly rewarding. 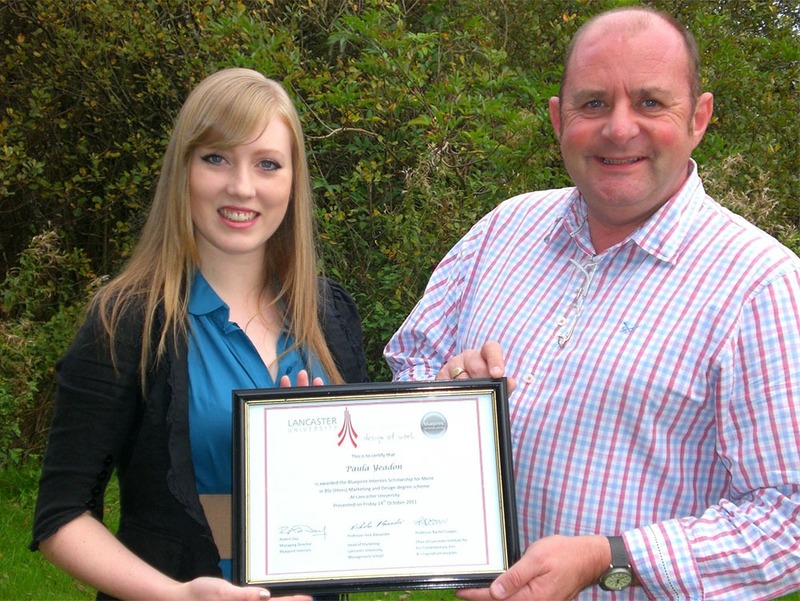 The scholarship marks just the start of our relationship with Lancaster University and its community. Most recently we worked with the Marketing department (with Prof. Maria Piacentini & Dr Ben Kerrane pictured above) on their Deep Dive dissertation module for the Lancaster MSc in Marketing. The module was developed to allow students to take a ‘deep dive’ into Blueprint as a business with guidance from Piotr & Rob and to then work together on applying marketing theory as practical solutions for the challenges faced by Blueprint. Get in touch to book a tour of our state of the art offices and design showroom in Ashby, Leicestershire. © Blueprint Interiors 2019. All rights reserved. BLUEPRINT INTERIORS LIMITED is a company registered in England and Wales with company number 04250687.